Like me, have you ever accidently caught your baby/toddler's fingers when attempting to cut their nails? And also like me, have you done this a lot more than once?! I've never been the best at cutting my own nails, so trying to gently cut my wriggling, squirming and sometimes screaming baby (and now toddler)'s nails was quite scary! For someone with large, chunky hands like mine, I have the added issue of finding it difficult to hold his little fingers whilst attempting to accurately aim and cut his tiny, thin nails. The second time I ever did it when he was just a few weeks old, I took a chunk out of the top of his finger, because he suddenly moved his hand as I was pressing down. THE HORROR! He was screaming, I was screaming, and the scariest thing was it wouldn't stop bleeding. I kept his hand elevated, tried plasters and put pressure on it to clot- and nothing happened! Eventually it stopped, but I remember crying the whole way through, as if he'd broken a bone or something, and the guilt was out of this world! I think you could say I was (and still am) traumatised by this event. I re-live that accident every time I cut his nails (and I've nipped his skin quite a few times since then! ), so I was excited to hear of new nail cutters that claim to help avoid these common accidents and thought I would put them to the test. The Nipper Clipper is an invention by BBC's The Apprentice 2011 winner, Tom Pellereau, who has recently had a baby of his own! 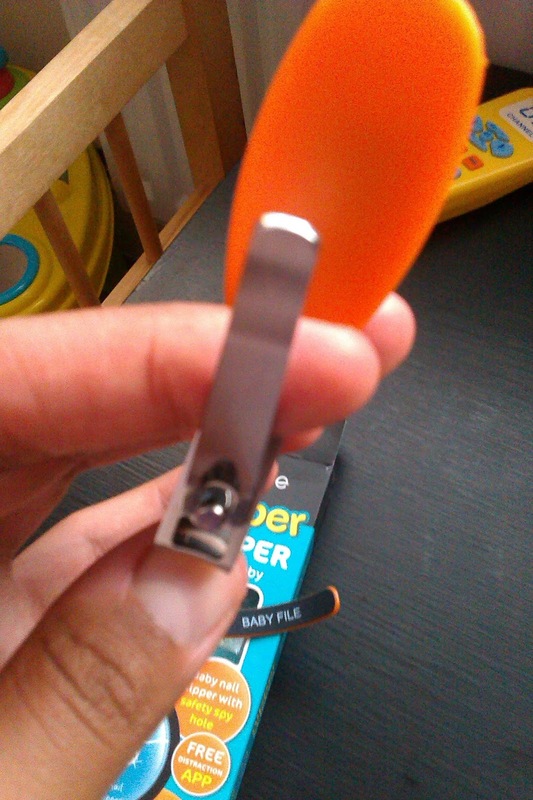 These clippers are different from the standard baby/ toddler clippers I've seen on the market, because they have a safety see-through spy hole, so you can see exactly what you're about to cut. I've found the spy-hole really useful, and I can honestly say we've had no accidents for the last month that I've been using them (and I've used them a lot as his nails grow at super speed), so this is a big success for me! I don't understand why the blade isn't just a straight line like usual cutters, so initially it took me a couple of attempts to work out the angle I needed to use to cut the nail. After I worked this out it was fine, and I've had no problems using them. Chunk tends to scream and get quite agitated when I cut his nails (which is no surprise based on what my poor nail cutting skills have put him through!) so it's been an added bonus that since using these clippers he now lets me cut them with less fuss and no screaming; I wonder if this is because he can sense I'm a lot calmer whilst doing it, and he's noticing no painful nips! 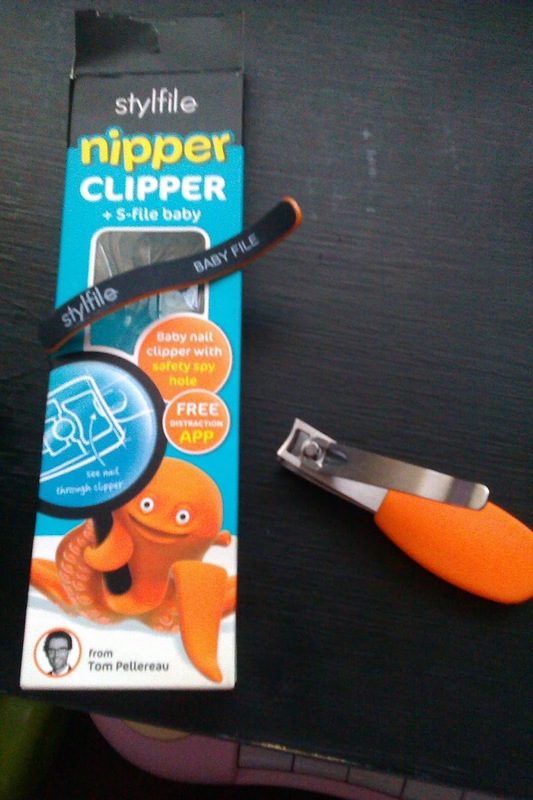 The clippers also come with a curved nail file called the 'S-file' (another invention by Tom) and a link to a free 'Timmy Tickle' app which can be played to the child to distract them whilst you cut their nails. Truth be told, I haven't even needed to use the app since the first couple of times I used the clippers, which shows how Chunk prefers these clippers like I do! So if you're as clumsy as me, or you just fear the very thought of ever clipping your child's fingers, then I would recommend you get these, as us parents have enough things to worry about without this added stress too!